I periodically don’t cook or photograph for whatever reason – I’m lazy, the food isn’t attractive, the recipe is just not INTERESTING enough. The usual. This is good though, it makes me think outside of the box in terms of content. This lack of food to post is a great opportunity to tell you about the things I’ loving or obsessed with right now. Millet: A couple of weeks ago I found a bag of millet my mom gave me and threw it in the rice cooker while I prepped a bunch of other stuff and threw together a quick grain salad. I adored it – the texture was wonderful. It was a really nutty, wonderful change to the brown rice BF and I have been eating recently. I have really been obsessed with my rice cooker recently – it cooks grains perfectly and it is so remarkably simple to use. As an added bonus it doesn’t heat up the house either so I don’t have to stand over a burner in warm weather. This summer expect a few rice and grain recipes to pop up here. My Melitta Pour-Over Coffee Maker: This little piece of plastic is a dream come true. I’ve been at home in the mornings and for a long time just did tea instead of coffee, but I LOVE coffee. The taste, the texture, the caffeine, so I finally caved a couple weeks ago and grabbed a pour over coffee maker. I am so thankful I did. The brew is delicious and it’s so simple to make coffee in it that I’m back to a cup a day and relishing it. My Porch: Is there anything as great as sitting on your back porch early in the morning and drinking coffee while you check in on your social media? I thought not. The birds are all loudly awake and kittenish goes absolutely bonkers. 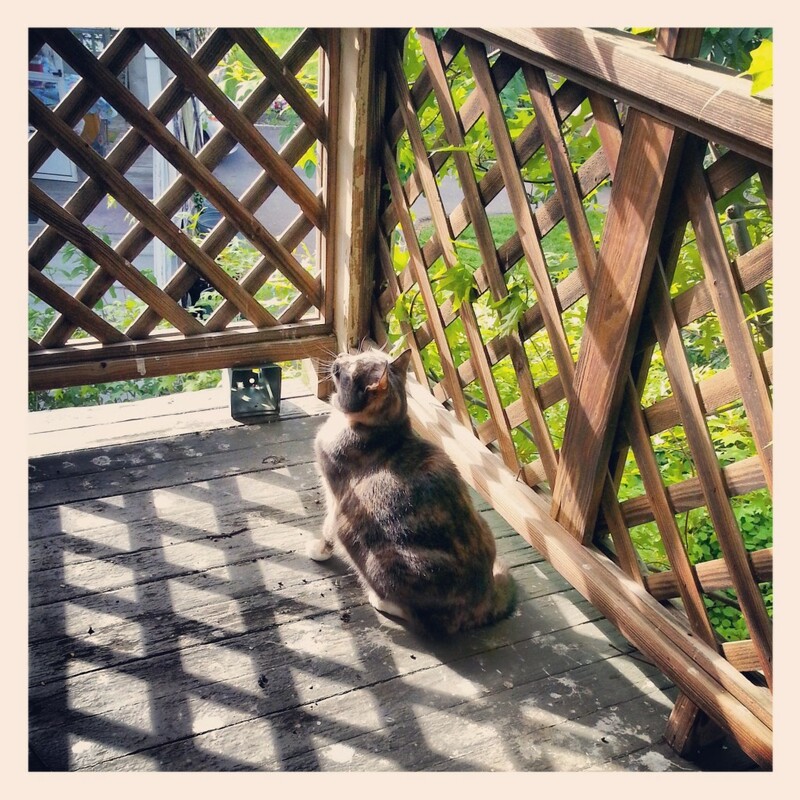 I’ve taken to bringing my cat to the porch with me so she gets a little outside time and I don’t have to worry about her taking off. She gets a bit fearless, jumping up onto our porch railing two stories above the ground, but she loves to chase the squirrels out there. Polar Seltzer: Everyone is talking about Polar’s Summer flavors right now, and they’re amazing. I’ve been drinking them pretty much non-stop since I found them on sale at my local star market. The cucumber-melon made a SUBLIME mojito (with Privateer Rum, no less) and I can’t wait to try more flavors. I also love that Polar beverages are all made locally (the Polar company is over near Worcester). Not a fan of the odd summer flavors? Go for the Ruby Red Grapefruit – it’s fantastic with a bit of gin. Homemade Iced Tea: Ever since that first warm day in mid April BF and I have had a pitcher of Iced Tea in our fridge. I’ve been using mostly Celestial Seasonings “Zinger” teas for it, they have such a nice full body and no caffeine. All of the zingers mix well too so you can swap out and exchange flavors, this week we have Raspberry-Lemon. This Swimsuit: My sister got me this for my birthday in April. I’m SO EXCITED to go to the beach in it this summer, and in general, for beach days this summer. I want to go to the beach, play in the sand, read books, and most importantly, play a bit of skeeball. The Boys Club: This is a great blog that my friend Brian and a few other cocktail obsessed bloggers put together – go here for all of your cocktail needs this summer. With a new post every day they cover everything from glassware to delicious drinks to breaking down what you’re drinking. WONDERFUL. CTC International: I recently went to a great presentation by the founders of this company and learned a lot. They built s special needs school in Kenya! They donate money to rhino and elephant preservation! They are a non-profit donating to other non-profits. Also, they have butts on their bags. I love that. Summer Beer: In the summer I pretty much only want to drink light beer or saisons. With their fun fruity flavors saisons are such lovely drinks for this season and I can drink them all day. Currently I’m plotting the takedown of Ommegang’s Hennepin Saison tonight. Saisons also pair well with my porch. Trying to stay local with summer beer is a cinch too – anything out of Jack’s Abbey is worth the time and a nicely chilled Bantam goes a long way towards cooling anyone down on those warm summer eves. For the more creative flavors head to the crew over at Night Shift – from a Habenero to a white stout they’re doing really cool things in beer. And Chris over at Notch makes low ABV beer (around 4%) that is always a light summer refreshment and keeps you upright. Boston Organics – I started getting a Boston Organics box every other week back at the beginning or April, I love it the way no ordinary person should. They have the BEST customer service I’ve ever experienced and the magic of opening my box is like a present. Boston Organics also lets me create a “no-list” so I can opt out of the bitter greens and things I just don’t want in my box (like avoiding yet another pound of carrots). They also have really neat Add-Ons program – this week I have “added-on” 1 pound of strawberries, half a pound of garlic scapes, and 3 lbs of rolled oats from Maine (look for a granola recipe soon). It’s grocery love. Fat Toad Farm Goat’s Milk Caramel – A friend recently found a Woot deal for Fat Toad Farm caramel and sent me the caramel as a gift (becasue I am super spoiled, thanks Seth!). It is some of the best caramel I’ve eaten in a long time, I want to put it on a wedge of brie with some pears. Decadence. The Bloggess – I had barely heard of her before Friday, now I can’t stop. I added her to my Google Reader, have been reading her back posts, and broke down and bought myself a BRAND NEW hardcover copy of her book, something I never do, She is witty, wonderful, and writes about Nathan Fillion (and calls him Nater-Tater, WIN). Go check her out. Boston Area Beer Enthusiasts Society (BABES) – My friend Kristen runs this great beer group, they meet once a month at Meadhall in Kendall Sq and pair delicious brews and snacks. This month the pairings are a comparison of west coast and east coast beers paired with east/west coast cheeses. It will be FAN-FREAKIN-TASTIC. Garden Strawberries – There has been a strawberry takeover of my backyard. I love it. A quarter of the yard is covered in strawberries. I will cut them back after the fruit is gone but until then there are perfect strawberries for munching. Craft Beer Cellar – I went in here Saturday and it is a magical wonderful space full of well curated craft brews. I wonder if they would mind if I just moved in and hunkered down? Warm Weather and Sun Dresses – I live in sundresses in the summer, it’s how I roll. I don’t like shorts so an arsenal of good comfortable dresses is key. I’ve been loving the Lace Affair for inspiration and fun sales. I totally got a fun pin-up dress from them which I am going to wear to this little event! So those are a few things I’m totally in love with. Hope everyone’s beginning of summer is going well and I will be back soon with a recipe, I promise! Update: I’ve also been watching this video on repeat. It makes me ridiculously happy. I love comfort foods – mac and cheese, beef stew, chicken soup, anything slightly salty and full of butter. I tend to reach for them when I’m having a bad day or just because. I turn to comfort foods in times of celebration or when I’m in need of comfort. This mac and cheese is no different. It’s something I have been perfecting for about two years. Tweaks and modifications have led to a perfect mac and cheese – one with body that isn’t too rich. 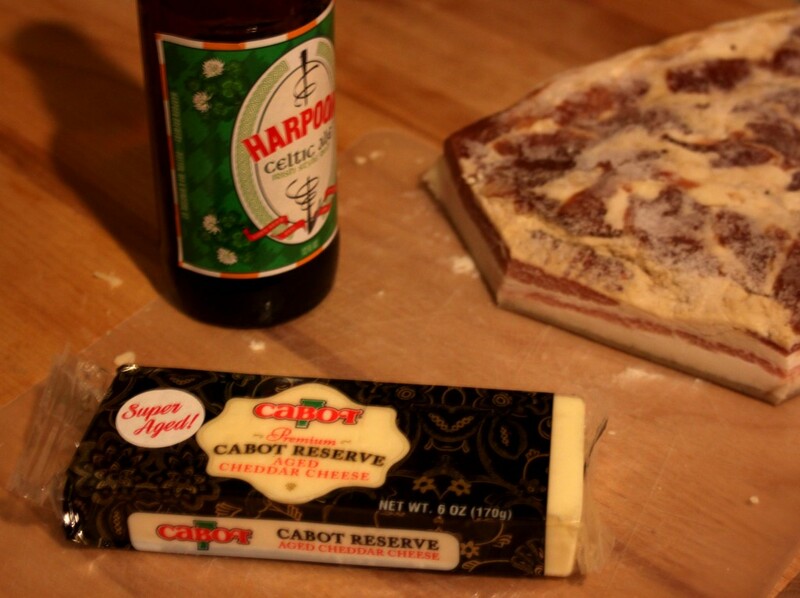 This particular flavor combination comes from my love of Saus’s cheddar duvel sauce. Though, it’s evolved from there. Something that started with cheddar and beer became more – I added mustard, I experimented with different beers – stout, reds, i.p.a.s, lagers, you name it I probably tried it in this mac and cheese. 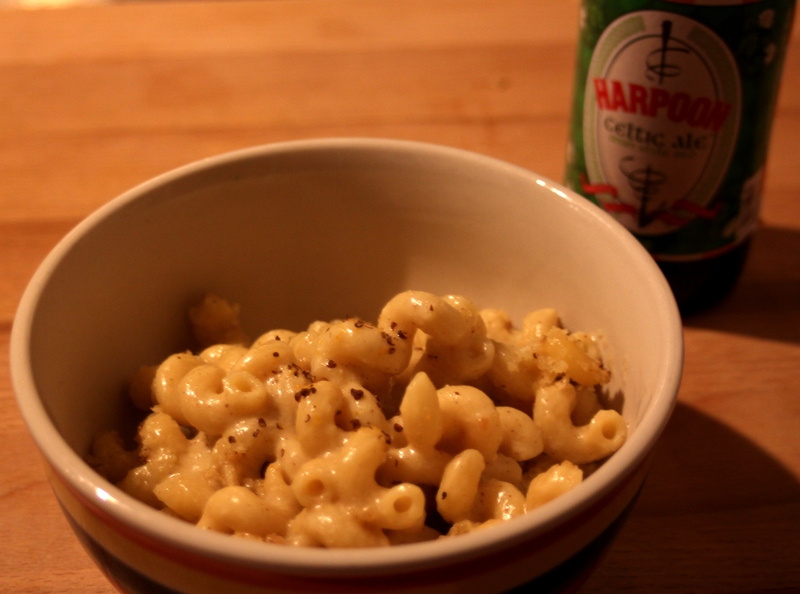 I made this particular mac shortly before St Patrick’s day so I had a nice Harpoon Celtic Red around, and it was (and is) my favorite. I make macaroni and cheese pretty regularly – pasta, milk, and cheese are ingredients I always have on hand so it makes a quick meal pretty much any night of the week. I think that’s one of my favorite things about mac and cheese. It will work with most any cheese and will accept any additions. It’s always familiar and different, which I love. But this mac and cheese is a special one; BF and I use it to celebrate – jobs, raises, pretty much anything positive in our lives means I make this mac and cheese. The beer makes it rich and the mustard adds a great sharp flavor. Also – the benefit of being able to drink a beer while you’re cooking is AWESOME. There’s something so comforting about that beer at the end of the day, and pairing it with cheese and mustard basically makes it a much more filling pretzel. And we all know how I feel about those. Adapted from the Betty Crocker Cookbook, though at this point it’s really all my own. I also crisped a handful of homemade bacon lardons to add to mine, but that’s totally optional. Preheat your oven to 350 and oil a large ovenproof bowl. In a medium, heavy bottomed pot over medium heat melt the butter and mix in the flour until it becomes a paste. 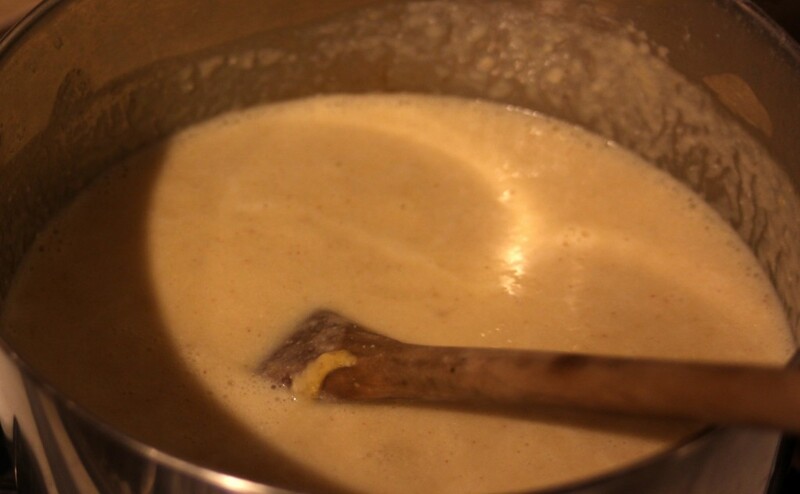 This is a basic roux and can be used for thickening in lots of ways. Add the milk to the roux and let it come to a simmer. Remove the pan from the heat. Add the cheese and stir to melt. The sauce will be quite thick. Stir the mustard into the cheese sauce. Gently add the beer, if the bottle is fresh it will be quite foamy. The sauce may slightly curdle at this point – don’t worry. Keep stirring and it’ll come back together. Mix the panko crumbs, melted butter, and crushed mustard seed together. Spread the crumbs evenly over the cheesy pasta. 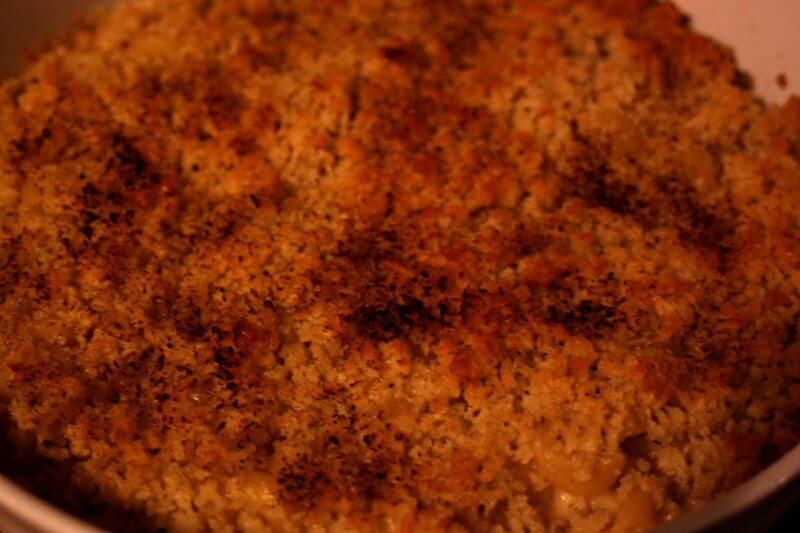 Bake the mac and cheese for 30-40 mins, until the panko is crispy and lightly browned. Remove the mac and cheese from the oven and allow it to cool for 5-10 mins before eating. If you have been reading my blog for any length of time you know that every summer and fall I drop down the Boston Local Food Festival rabbit hole. You can barely pin me down for an evening and BF thinks I’m merely a ghost for about a month leading up to BLFF. So naturally, when the organizers contacted me about a summer event to promote the festival and find more awesome brewers I was thrilled and immediately said yes. So, in June the Boston Local Food Festival team with Sustainable Business Networks of Boston is presenting the Hyper Local Brew Fest! This will be an evening of fun I assure you! Our line up is looking more and more robust every day and as we speak we already have wineries, meaderies, and breweries signed up and excited to show us their wares. So when is this fabulous event?, you ask. It’s June 16th at the Somerville Armory where it will be set up in a very similar fashion to our Brew Fest last year. There will be two sessions of tastings with tickets priced at $30 each. There will be music, there will be delicious nomables, just like at the festival $5/serving. In general it’s going to be a magical experience. You should come. You can get tickets here. And, if you use the code HYPERLOCAL today only (March 16, 2012) you get 10% off your ticket! Beer. We all (ok, most) love it. From a hearty stout in the depths of winter, to a citrusy summer ale – beer soothes stressful days and always makes sitting in the sunshine better. Is there really anything better than a well-made craft brew? I’m so glad you agree with me! Now, let me discuss how I plan to celebrate this fondness for beer (and other imbibe-ables) at the Boston Local Food Festival. Those of us over at BLFF central have spent the past year garnering feedback and working to create a second truly awesome event for the city of Boston to enjoy even more than they did last year. With that in mind, we have set up another (drumroll, please) BEER TENT! We took all of last year’s feedback and applied it to this year’s event (our space is bigger!) and we will have scheduled tastings, during which time tasters can drink and hang, but afterward they can go back out and enjoy more of the awesomeness that is BLFF. What is craft brew, you wonder? Our definition of craft brew over here at HQ is small-batch, locally sourced and alcoholic (because what fun is brew without the wickedness?) bevvies for the 21+ set. We currently have Cambridge Brewing Company, Watch City Brew, Poverty Lane Orchards, and Blue Hills Brewery on board and will keep you updated with more brewers as we receive confirmations. The tastings will be 2 oz pours for as long as your ticket allows you to hang out in the Daily Catch Seaport Outdoor Grotto (otherwise known as our tasting venue). 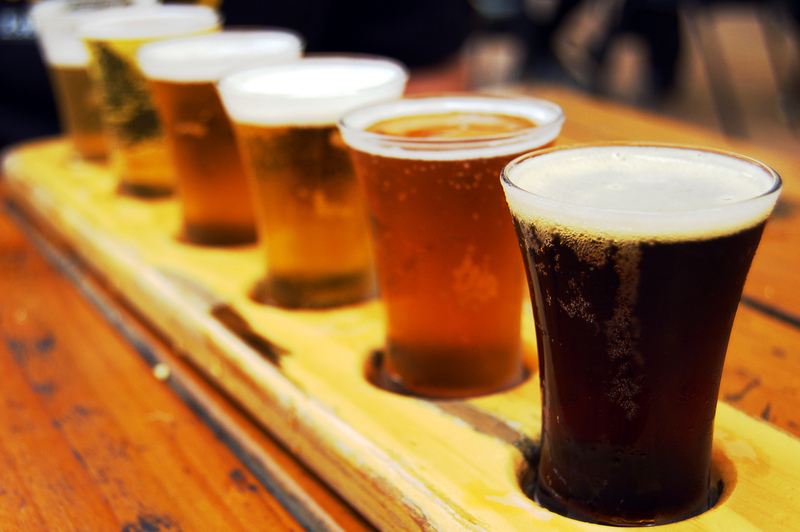 So, what’s the scoop on imbibing in all of this delicious craft brew awesomeness, you wonder? Well, aren’t you lucky that you’re here. 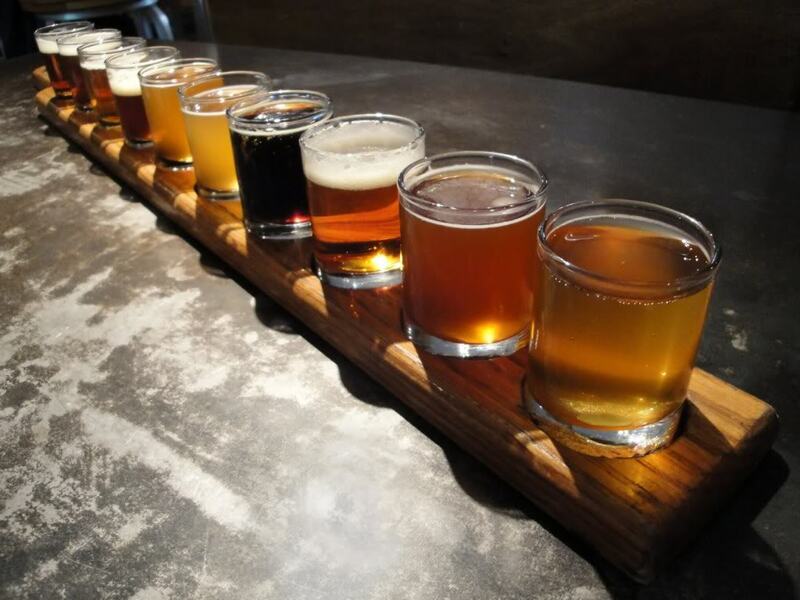 Craft brew tastings will be in three two hour blocks (11-1, 1:30-3:30, 4-6) so if you have your eye on one of those blocks, you should make sure you follow @bostonlocalfood on twitter and facebook so you can be the first to see when craft brew tickets go on presale :). Each block will be capped at 225 tickets so GET YOUR TICKETS EARLY. Remember, we SOLD OUT of tickets last year, so don’t be the sad kid when you go to get tickets day of and they’re gone. That’s no fun for you as you walk around the festival getting thirsty and wishing for a brewski (while your friends are merrily tasting their afternoon away). Just saying. So come to Boston Local Food Festival, have a beer, chat up a local (and truly amazing) brewer of the beverage you are imbibing and have an AWESOME time. I know I will. Reminder: The Boston Local Food Festival runs for one day only! October 1, 2011 from 11 am to 5pm. It will be a lot of fun, look for more information about it here in the near future!